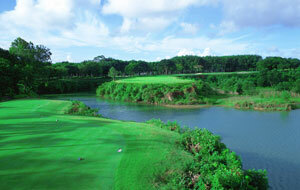 Review Blue Canyon Country Club, Phuket. 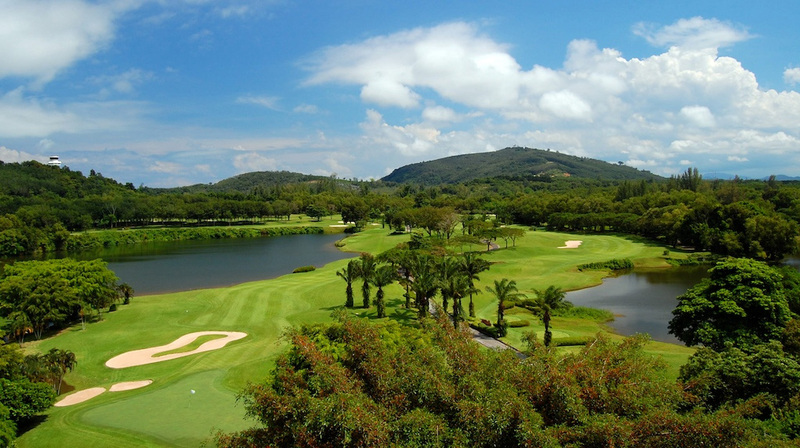 Blue Canyon Country Club used to be the top golf course in Asia and has twice hosted the Johnnie Walker Classic and many of golf’s greatest players have praised the layout of the course. What is remarkable is that the course was designed by Yoshikazu Kato who had very little previous experience of course design and he has come up with a masterpiece. If it is to once again host a major tournament then the course’s defences will need to be strengthened as it will not withstand the new club and ball technology and today’s leading pros will likely overwhelm it. Most of our favourite holes come on the back nine starting with the par-4 thirteenth where you are faced with a 220 yard carry across the canyon to the safety of the fairway and where Tiger Woods famously drove the green. This is followed by the par-3, fourteenth where you tee off from an elevated tee box to an island green below – here you are either on the green or in the water. The 17th which is the other par-3 on the back nine is another wonderful hole with a dogleg shaped green with water all along the right. 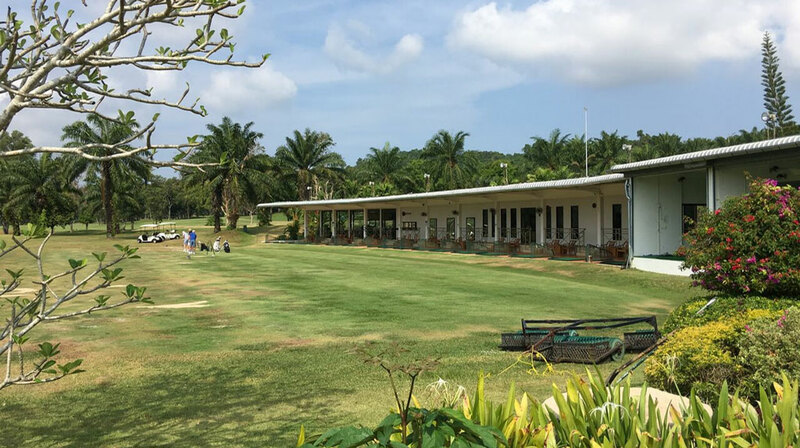 You have to drive well here – most fairways are lined with rubber trees and you have to avoid them if you are to score well. The greens can be very fast so try at all costs to keep below the hole – it’s not unusual to see golfers putting off the green from an uphill position. Finally be patient – if you get into trouble play sideways and take your medicine – try to attack the course and you end up with a double or worse. They have recently moved the bag drop to the main entrance which is more convenient and then you walk downstairs to the pro-shop. The pro-shop staff are polite and efficient. It’s a short walk to the first tee from here. A large and impressive clubhouse overlooking the course. 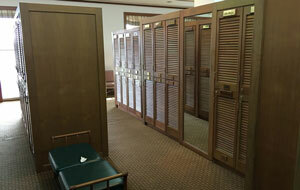 The changing rooms look very tired and outdated and the locker numbering system is not always logical and many visitors can be seen wandering around trying to find the right locker. Showers are old fashioned with poor water pressure and were cold when I was there – not what you want after a game of golf. 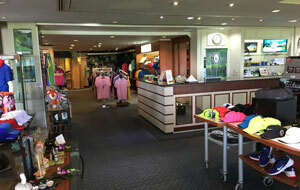 The pro-shop is very well-stocked with a wide range of branded clothing, most of it embossed with the club logo. Prices were similar to department stores. 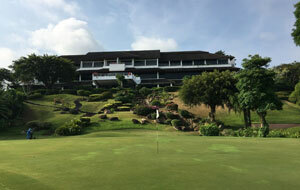 The Golfers Terrace offers a wide range of international, Thai and Japanese food which is very reasonably priced at around US$8 for a main course although Japanese dishes were around US$12. Local beers are US$3 for a small bottle and US$5 for most imported brands. There is an excellent Spa with a good range of treatments on offer ranging from US$23 for a foot massage and US$70 for a 90 minute massage. They have a reasonable range of golf clubs for hire ranging from TaylorMade 360XD from US$30 to Calloway XR Solaire Gems for US$60. 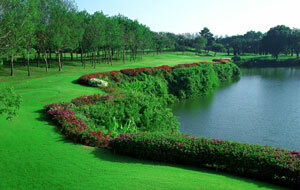 Excellent driving range where you can play off the matt or the grass – good putting chipping and bunker practice areas. Only issue is that it’s a five minute drive from the first tee at the Canyon Course to the practice area. Do not expect a perfectly manicured golf courses and the areas of the courses are very much in need of some major renovations. At the time of writing there was some evidence that renovation works were underway but more work needs to be done. Most of them were in terrible condition and were full of bare patches and sometimes holes – this does not really affect your game as you tee the ball up anyway but it does give a very bad impression. 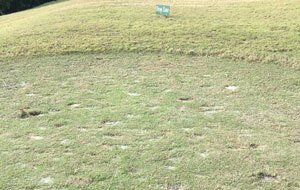 I noticed that some of the tee boxes were being re-turfed but most of them need re-doing. 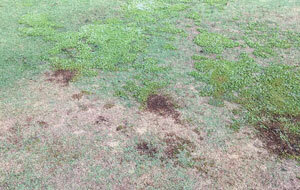 Lots of patches of “Cow” grass on the fairways and in certain places flowering moss – there was evidence that they are trying to control it but it has left unsightly marks and the areas close to the greens need attention. The condition of the fairways is not helped following the introduction of buggies as traditionally this was a walking course. 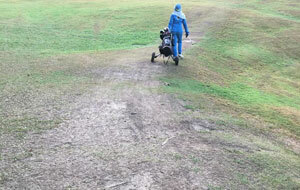 They have not constructed any buggies tracks yet so existing roads are used but inevitably there are times when you have to drive on the course and this has resulted in many bare patches. More damage is likely to follow in the wet season. Blue Canyon was always famous for its fast true greens and they remain in good shape although some of them were quite patchy with different types of grass in evidence. 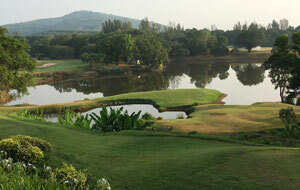 But generally as good as most greens in Thailand. Seems well maintained and renovation work being carried out on some. Seem to be different type of sand in some bunkers and they have a tendency to turn into ponds after heavy rain. There are two on the front nine and only one seems to be open on the back nine. Very limited food and snacks available and what was there looked very unappetising. Water costs US70 cents, beer US$2.20 and Gatorade US$1.70. Most of the caddies at Blue Canyon have been around for a long time and know the course very well – they are polite, knowledgeable and good fun. Not all of them are great at reading greens and many off them tend to give you the distance to the centre of the green rather than the pin. A very enjoyable golf course despite the obvious wear and tear – the management seems to be addressing the maintenance issues and we hope that things will gradually improve. This remains a “must-play” course – especially for better golfers.